T.Y. 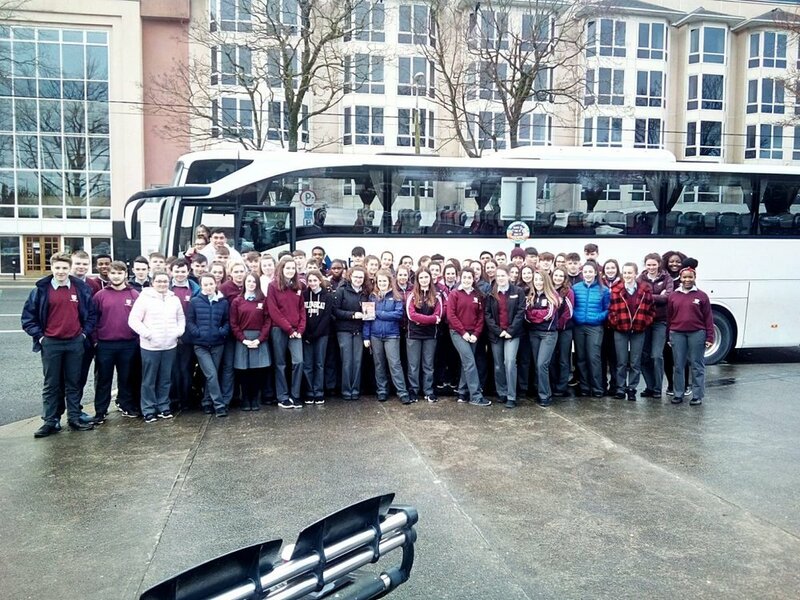 and 5th Year students embarked on a trip to the National Folk Theatre of Ireland in Tralee to see Mercy Mounthawk’s production of the John B. Keane classic, “Big Maggie”. This is on the 5th year English course and provided a helpful preparation for the exam curriculum, as well as being an enjoyable cultural experience. The Tralee students put on a fine performance and many of the 5th years had tread the boards themselves in school productions and could appreciate the work that goes into a successful staging. Thanks to staff Ms O’Donoghue, Mr Healy, Mr Lyons and Ms O’Leary.